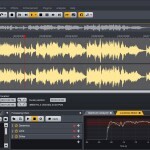 Acoustica 7 is the perfect software application for audio editing, mastering and restoration work on both Mac and PC. The application is available in a Premium Edition and a lower cost Standard Edition. The Premium Edition offers advanced features such as spectral editing with powerful retouch algorithms and multi-channel support up to 7.1 surround. 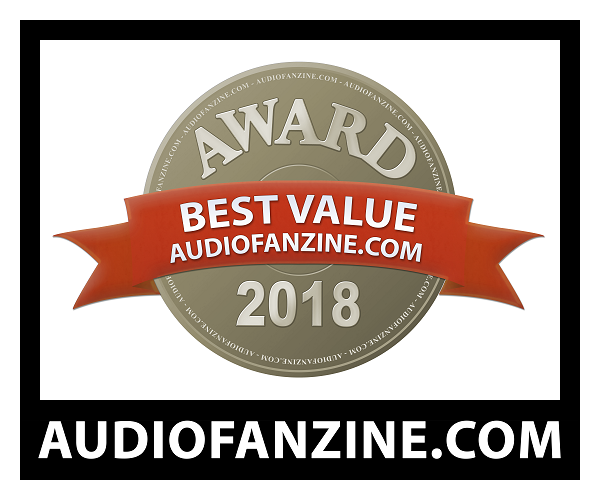 Our award winning plug-ins such as Equalize 2, Verberate and Restoration Suite are included. The new Transfer plug-in makes audio transfers between Pro Tools and Acoustica a breeze, thus expanding Pro Tools with an extensive set of tools for audio restoration and processing. Acoustica Premium Edition 7.1 also introduces brand new plug-ins based on the internal processing tools in version 7.0, but with significant improvements in audio quality, workflow and versatility. Dynamics is a combined compressor, expander and gate with flexible side chain filtering and Limit is a brick-wall limiter. 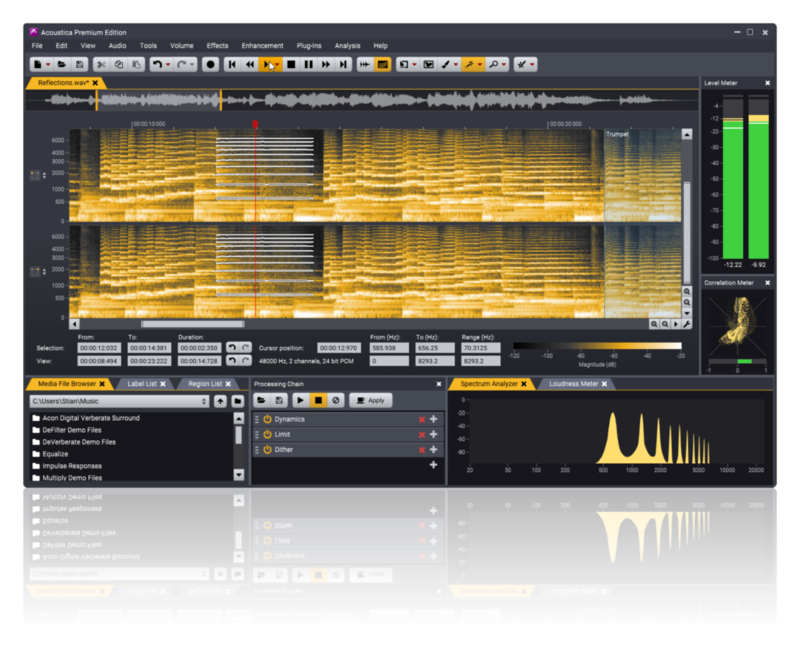 Both tools have sophisticated algorithms with adjustable look-ahead for maximum transparency and up to four times oversampling. 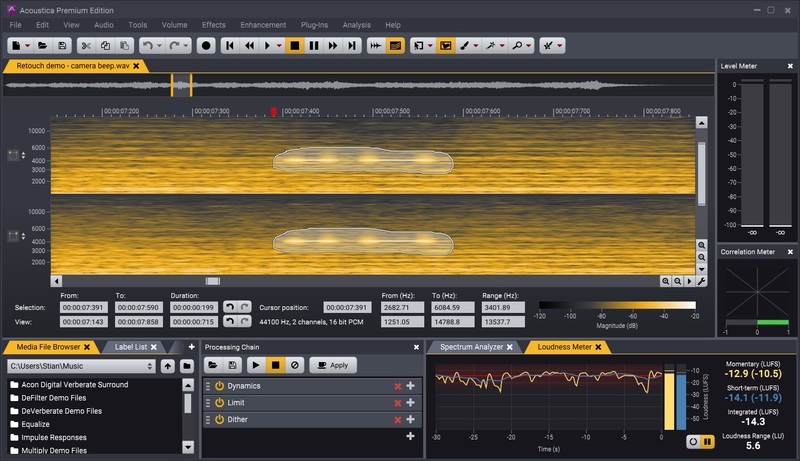 Multiband Dynamics is a multi-band version of Dynamics with separate processing in four bands and adjustable cross-over frequencies and filter slopes. 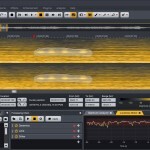 The Dither plug-in offers dithering with novel and flexible noise shaping options. The Standard Edition offers most of these tools as internal processors in Acoustica, but they cannot be used as plug-ins in other host applications. Both editions offer EBU R 128 and ITU-R BS.1770 compliant metering and normalization. Wow! I’ve never started a review with ‘Wow!’ but this product really deserves it. 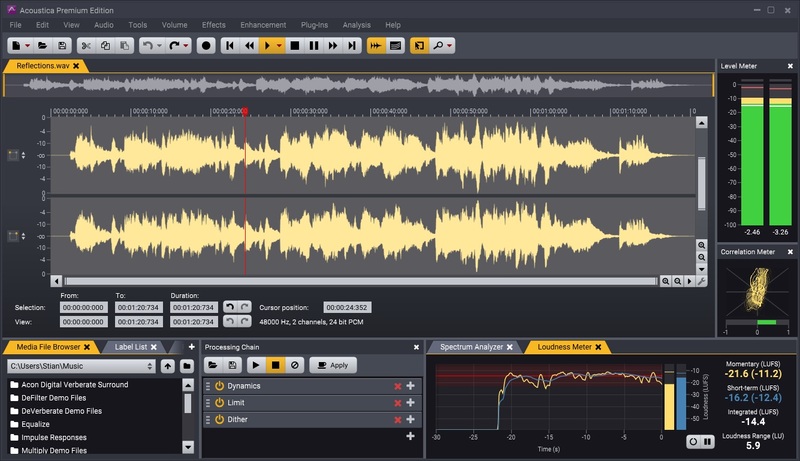 Finally a stereo and surround audio editor which is elegant, fast and has great plug-in support. Acoustica is now a backbone of my workflows. The built-in tools are also of very high quality. I have been in search for an audio editor with a minimalist UI, streamlined workflow and professional feature set for quite some time now — the wait is over! Acoustica offers support for state-of-the-art audio resolutions up to 32 bit and sampling rates up to 384 kHz, ensuring that all of your work comes across at the highest quality. Acoustica Premium Edition even supports multi-channel audio recording and editing such as 5.1 and 7.1 surround sound. European Motion Picture Association (EUMPA) has created this extensive video review of Acoustica 7 that also serves well as a tutorial. The Acoustica Premium Edition 7 workspace with an audio clip loaded in the editor. 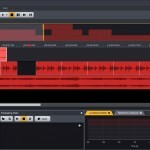 Multitrack audio editing in Acoustica 7.